There are huge benefits to learning outdoors. 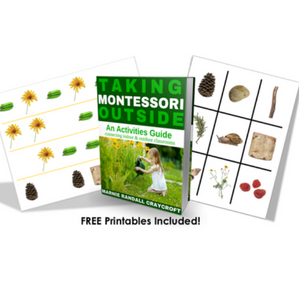 This post is filled with outdoor activities for kids and outdoor classroom resources. The natural curiosity of children combined with fresh air and hands-on experiences makes the outdoor classroom the most ideal learning environment. Learn how to create an outdoor classroom, how to tackles the obstacles that come with learning outdoors, equip yourself with hundreds of activities for inspiration and execution, and create an amazing foundation with ample, well-vetted books lists I have curated for the outdoor environment. Enjoy these outdoor activities & resources! Check out these ideas and resources on how to create your outdoor learning environment. Learning outdoors sounds romantic. Then there are the tears and the whining. Not to mention the “bad weather”. Here are a few ideas to tackles the obstacles of outdoor learning activities. My hope is that these ideas will help you reach success in your outdoor learning environment. Peruse hundreds of outdoor learning activities for a wide range of ages and development. Books should be an integral piece of any learning environment. Below are several lists to inspire you and to make learning loads of fun. These books can all be applied to the outdoor classroom.